How Do You Spell AWN? 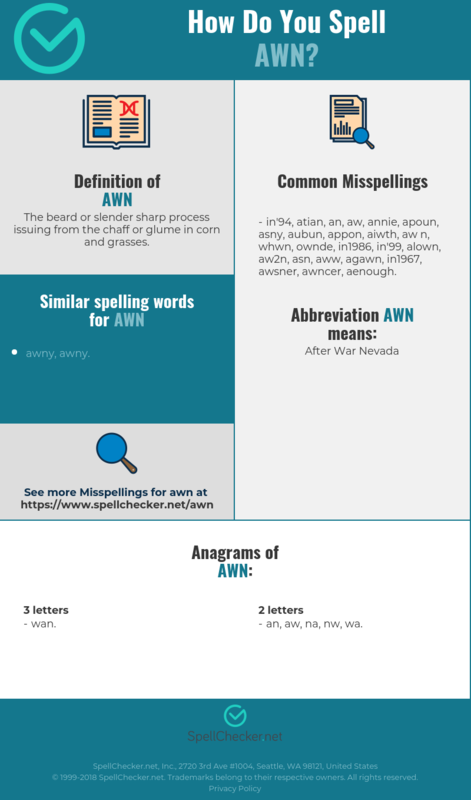 Correct spelling for the English word "awn" is [ˈɔːn], [ˈɔːn], [ˈɔː_n]] (IPA phonetic alphabet). Below is the list of 263 misspellings for the word "awn". The beard or slender sharp process issuing from the chaff or glume in corn and grasses. 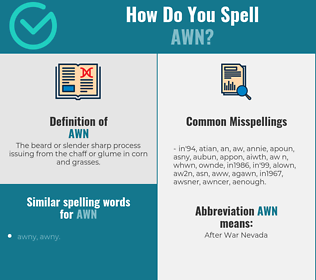 What does awn stand for?